Legacies can be the single most valuable gift you ever give to a cause you believe in, and could save you up to 40% in inheritance tax. 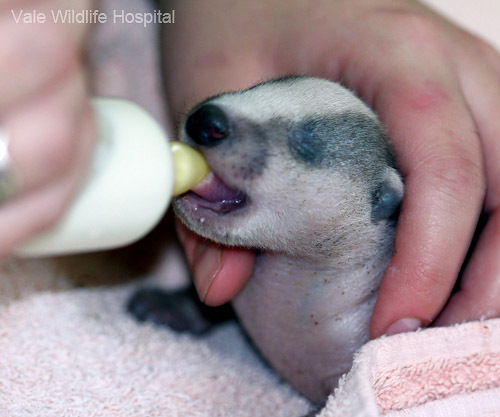 After you have provided for your loved ones, why not make an impact on the future of wildlife and leave a portion of your estate or gift to the Vale Wildlife Hospital and Rehabilitation Centre? Vale Wildlife began in June 1984 when I agreed to look after an injured tawny owl from a local vet, and I could never have imagined that this would lead to thousands of sick, injured and orphaned wild creatures needing our help every single year. We are now one of the busiest and most well respected wildlife hospitals in the UK, and despite being a predominantly regional charity, our expertise is being called upon from much further afield, including overseas. As well as our main objective, to treat and rehabilitate our native wildlife, advice and education are becoming more and more important, and therefore additional funding is becoming necessary to help us with this. The main reason for Vale’s existence is that people genuinely care about wildlife and want to do their very best for an animal in trouble. A majority of the injuries that we deal with are as a result of wildlife coming up against us humans, with our cars, roads, housing estates, pesticides, farming methods, domestic pets…… the list goes on and on. But, we are a nation of animal lovers, and that includes our wildlife – if this was not the case there would be no need for wildlife hospitals such as Vale – we are here because of public demand. The hardest part of the work that we do is raising the necessary funds to continue. Over £40,000 is needed every single month, and extra funding is needed for improvements and expansion. We do not receive any government funding, but are totally reliant on public support. Over £400,000 per year….a mammoth task!! 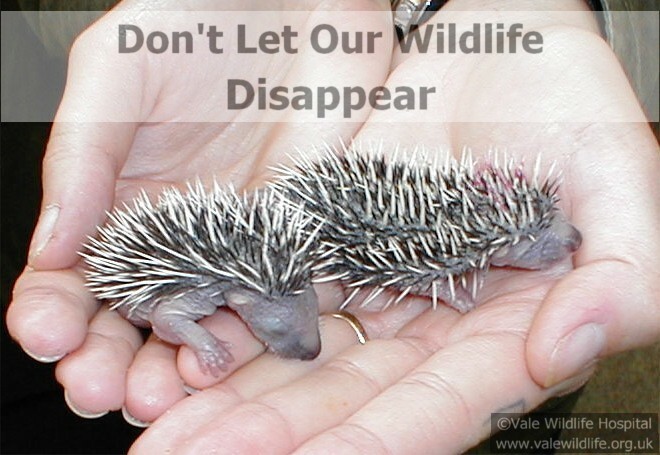 The future of Vale Wildlife Hospital and Rehabilitation Centre is in the hands of our supporters, and we could do so much more to help wildlife and to teach more people how to care for and treat our suffering wild creatures if we knew that funds were there to enable us to continue and grow. Legacies are the foundation for many of the charities in the UK and are vital in making sure that all the good work they do can continue. By leaving a gift to Vale in your Will, you can help to secure our future, and we can continue to help wild animals like the ones pictured here, and release them back into the wild where they belong. Thank you. Caroline Gould, Vale Wildlife Hospital Founder.